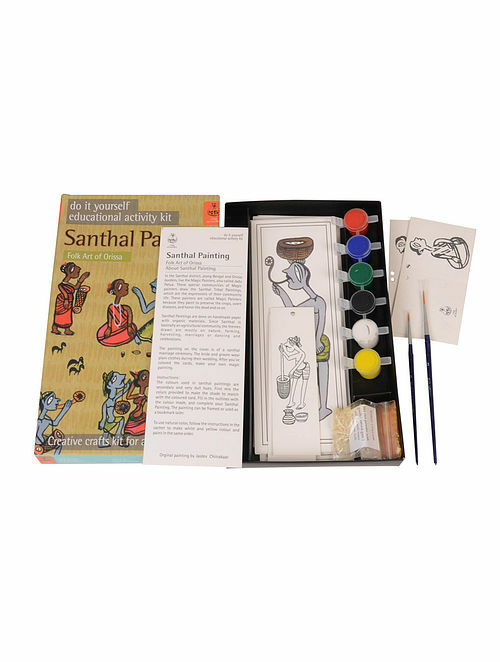 This is an educational art kit on Santhal painting, a traditional art form of Orissa. It contains 10 coloring cards, 2 book-marks, 2 gift tags, 6 lead free child safe paints, 2 brushes, 2 packs of raw material of natural colours and an information sheet. Ideal for children above 5 years.